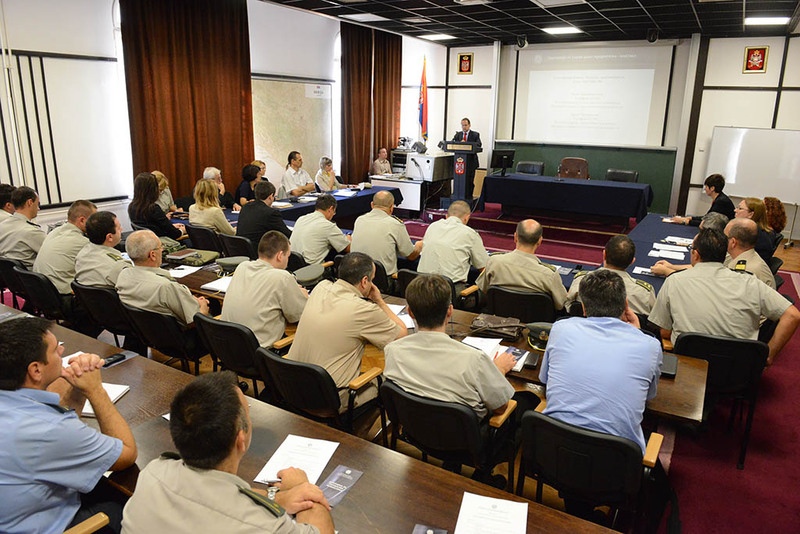 Directorate for Project Management of the Budget and Finance Sector at the Ministry of Defence organized on 10th September 2014 an Info Day - presentation of EU and NATO program for members of the defence system. 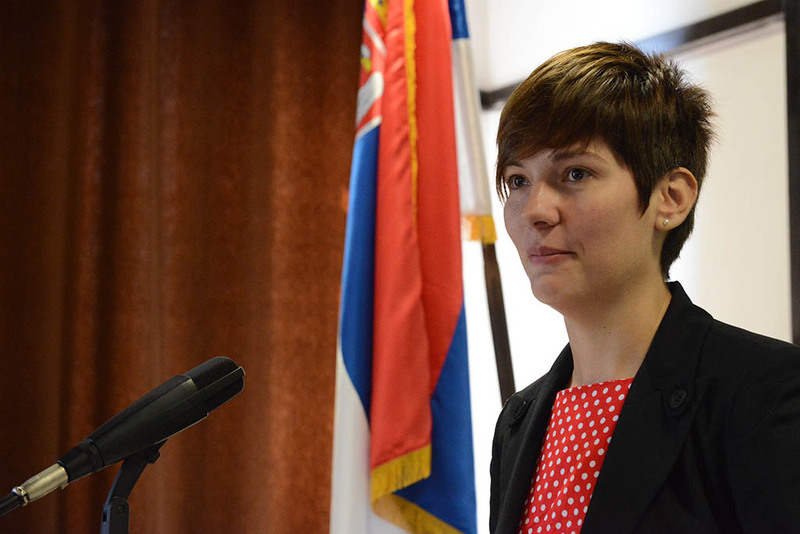 The Info Day was organized in cooperation with the Ministry of Education, Science and Technological Development and the European Integration Office. 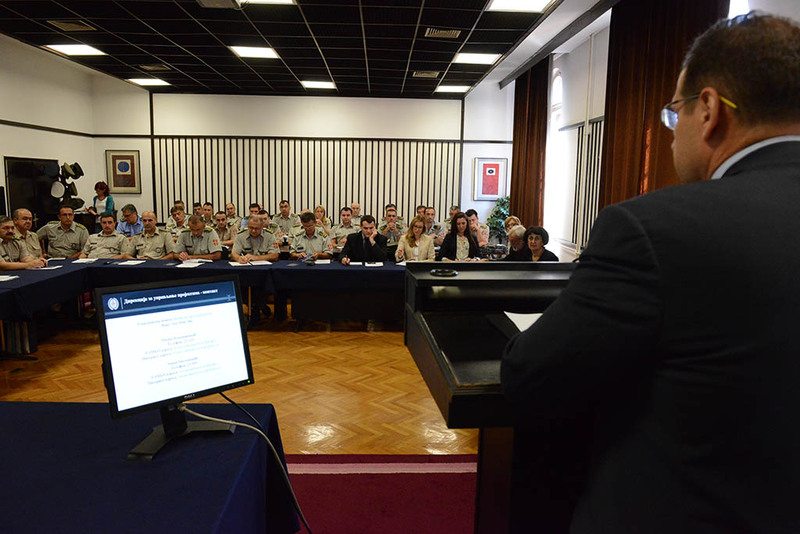 Info Day was organized with the aim to connect other services and their employees to employees of the Ministry of Defence, in order to improve their knowledge and the quality of their work with the help of the presented programs. Attendees were greeted by Ivana Vukasinovic, representative of the Directorate of Project Management and Prof. Viktor Nedovic, PhD, Assistant Minister of Education, Science and Technological Development, after which programs HORIZON 2020, NATO Science for Peace and Security and TAIEX were presented by representatives of the Ministry of Education, Science and Technological Development and the European Integration Office. HORIZON 2020 - a framework program for research and innovations, is a new integrated financing system, designed to focus more intensively on innovations and activities close to market. 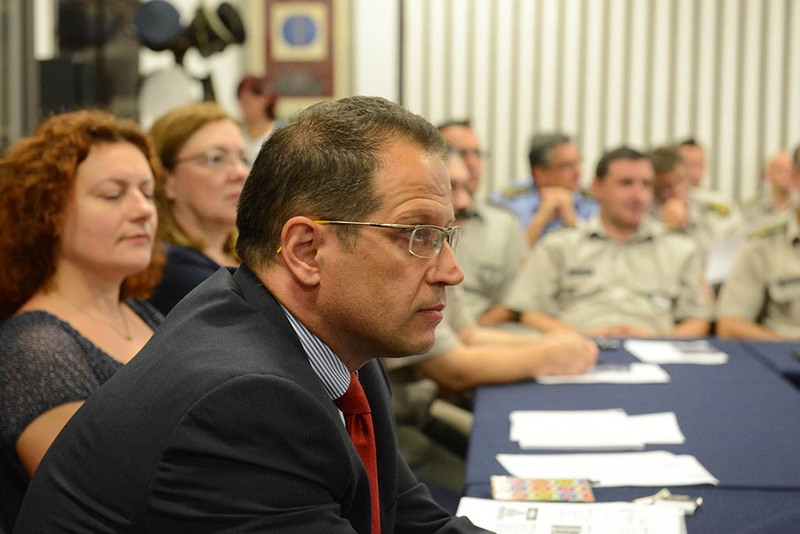 NATO Sciene for Peace and Security Programme was formed with the intention of contributing to security, stability and solidarity between nations through applications of most up-to-date technical expertise and to encourage cooperation in all partnerships based on innovations and civilian science. TAIEX is a legal aid program created in order to provide of technical and concrete help in the process of harmonizing legal regulations with the European Union acquis, as well as in the process of establishing necessary administrative structures.